Stuart decamps to Maida Vale for 6 Music’s All Day Christmas Party to mark Shaun Keaveny’s last breakfast show, and speaks to The Staves and a slightly worse for wear Shaun. Astronaut Tim Peake talks about the yearlong selection process that he went through to work on the International Space Station. Comedian Bill Bailey talks about about travel and his love of nature. Our Chainee Helen has some serious beef with moving to the very end of the Northern Line, and we hear ways your hometown has bigged itself up. Mat Osman and Brett Anderson of Suede talk about their new album The Blue Hour, and their feature length documentary by Mike Christie Suede: The Insatiable Ones. 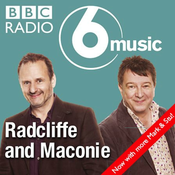 Hello there, Stuart Maconie presents another batch of highlights to listen to on the BBC Sounds app. In this episode you'll hear Joel Morris and Jason Hazeley speak about their final Ladybird books for grownups. There's Sid Griffin enthusing about 60s mod group The Action, they've got a new boxset. 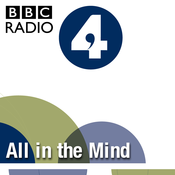 Tamsin Grieg talks about Pinter at The Pinter, a series of all twenty short Pinter plays at the Harold Pinter theatre, which led Stuart to ask for your Am Dram and school play stories. And there's Graham Massey and Andrew Barker of 808 State talking about their 30th anniversary tour 808 State: 30 Live with Nottingham electronica artist Lone. Hello there, and wow, what a week of guests in this podcast. It's of course, best listened to on BBC Sounds. Other podcast apps are available, but quite frankly, why would you bother with them when there is so much good content here on BBC Sounds? Here's a run down of all those amazing guests: Johnny Marr on why he loves playing live more now than being in the studio. Montreal duo Chromeo, that's David Macklovitch (Dave 1) and Patrick Gemayel (P-Thugg), talk about their album Head Over Heels. Director Mike Leigh, yes him, speaks about his epic historical drama Peterloo which is based on the tragic Peterloo Massacre which happened in Manchester nearly 200 years ago. Connan Mockasin has a new five part film called Bostyn ‘n Dobsyn. It's about a music teacher called Bostyn, his student Dobsyn, and Bostyn's band called Jassbusters, which is also the name of Connan's latest album. It sounds complicated, but Connan will explain it all. There's also a Chain caller with a really interesting job. And an interruption at a gig gave Stuart something to talk about, in fact the gig was by another brilliant guest... The legendary bass player Stanley Clarke.